Willians Jose Astudillo (pronounced ah-stew-DEE-oh)...Instagram: @williansastudillo...originally signed by Philadelphia as minor league free agent December 15, 2008...nicknamed "La Tortuga" by teammates, translating in Spanish to "Turtle"...gained national attention March 12, 2018 for a no-look pickoff at first base (as catcher) of Shane Robinson in spring training in Tampa (New York-AL). league hit in same game, singling off Brian Duensing, and driving in first RBI...Hit in each of first three career games, going 5-for-11 in that span with one triple and three RBI...Made first career pitching appearance July 14 vs. Tampa Bay, allowing five runs on five hits in 1.0 inning pitched...allowed two home runs, no walks and no strikeouts...became the 12th different position player in club history to pitch and one of four on the season (Ryan LaMarre, Mitch Garver and Chris Gimenez)...Optioned to Rochester July 21...Played in 28 games for Rochester in August and was recalled for a final time August 24....Hit first career home run August 29 at Cleveland, a solo shot off Adam Plutko...Hit walk-off two-run homer September 9 vs. Kansas City off Jason Hammel, breaking a 1-1 tie with two outs in the bottom of the ninth....Hit .388 (26-for-67) with four doubles, two home runs, 17 RBI and just one strikeout in 19 September games...led AL rookies in batting average, tied for second in RBI and sixth in hits, during the month...Appeared in 16 games (14 starts) at catcher, six at third base (5 starts), two at second base (1 start), one game in leftfield, one game in centerfield and one game at pitcher...Played for Caribes de Anzoategui in the Venezuelan Winter League, hitting .325 (76-for-234) with nine doubles, one triple, 10 home runs, 46 RBI, a .370 on-base percentage and just four strikeouts in 61 games...finished second in MVP voting with 166 points (22 first place votes, 5 second place votes and 11 third place votes)...finished second to former Twin Delmon Young who had 178 points (23 first place votes). Signed minor league contract with Arizona organization in off-season...Played in just 36 games for Triple-A Reno...Had two separate stints on disabled list: July 4-13 with a left hamstring strain and August 5-end of season with a left hamate fracture...Hit .393 (11-for-28) in eight August games and .365 (17-for-47) in 12 July games...Hit .364 (36-for-99) against right-handed pitching and .238 (5-for-21) against left-handed pitching... Played for Caribes de Anzoategui in Venezuelan Winter League, hitting .319 (65-for-204) with 11 doubles, six home runs and 37 RBI in 55 games. January 20, 2019 Caribes de Anzoategui traded C Willians Astudillo to Cardenales de Lara. October 12, 2018 C Willians Astudillo assigned to Caribes de Anzoategui. August 24, 2018 Minnesota Twins recalled C Willians Astudillo from Rochester Red Wings. July 22, 2018 Minnesota Twins optioned C Willians Astudillo to Rochester Red Wings. June 29, 2018 Minnesota Twins selected the contract of Willians Astudillo from Rochester Red Wings. January 30, 2018 C Willians Astudillo assigned to Venezuela. November 30, 2017 Minnesota Twins signed free agent C Willians Astudillo to a minor league contract and invited him to spring training. November 30, 2017 C Willians Astudillo assigned to Rochester Red Wings. November 6, 2017 C Willians Astudillo elected free agency. October 10, 2017 IF Willians Astudillo assigned to Caribes de Anzoategui. September 29, 2017 Reno Aces activated C Willians Astudillo from the 7-day disabled list. August 7, 2017 Reno Aces placed C Willians Astudillo on the 7-day disabled list. July 13, 2017 Reno Aces activated C Willians Astudillo from the 7-day disabled list. July 4, 2017 Reno Aces placed C Willians Astudillo on the 7-day disabled list. April 5, 2017 C Willians Astudillo assigned to Reno Aces. April 4, 2017 Arizona Diamondbacks signed free agent C Willians Astudillo to a minor league contract. November 7, 2016 C Willians Astudillo elected free agency. October 5, 2016 C Willians Astudillo assigned to Caribes de Anzoategui. April 4, 2016 C Willians Astudillo assigned to Mississippi Braves. November 19, 2015 Atlanta Braves signed free agent C Willians Astudillo to a minor league contract and invited him to spring training. November 6, 2015 C Willians Astudillo elected free agency. 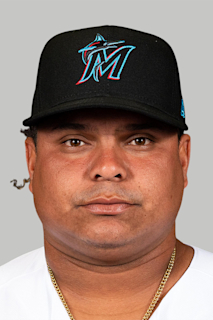 September 29, 2015 1B Willians Astudillo assigned to Caribes de Anzoategui. April 6, 2015 C Willians Astudillo assigned to Clearwater Threshers from Lakewood BlueClaws. March 31, 2015 1B Willians Astudillo assigned to Philadelphia Phillies. November 23, 2014 Caribes de Anzoategui activated 1B Willians Astudillo. March 30, 2014 1B Willians Astudillo assigned to Lakewood BlueClaws from Lehigh Valley IronPigs. December 27, 2013 Tigres de Aragua signed C Willians Astudillo. September 29, 2013 C Willians Astudillo assigned to Lehigh Valley IronPigs from GCL Phillies. June 20, 2013 Willians Astudillo roster status changed by GCL Phillies. June 18, 2012 C Willians Astudillo assigned to GCL Phillies. May 14, 2009 VSL Phillies signed free agent 3B Willians Astudillo. May 1, 2009 Philadelphia Phillies signed free agent RHP Willians Astudillo to a minor league contract.